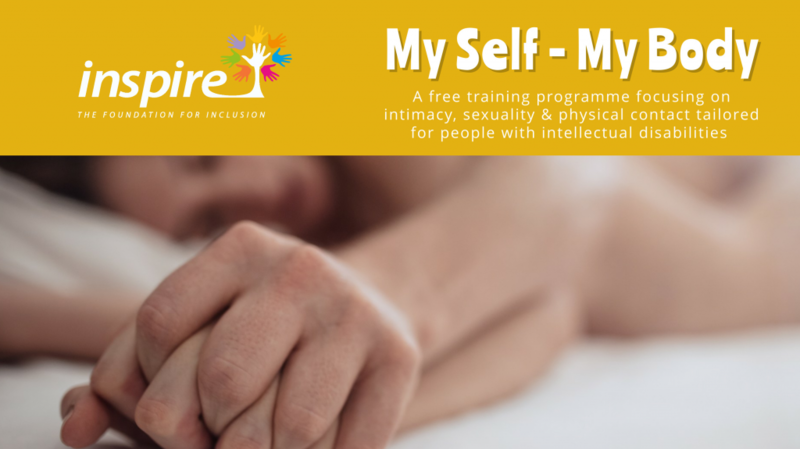 MY SELF – MY BODY is a project implemented by the Inspire Foundation and co-funded by the Malta Community Chest Fund for Voluntary Organisations. This free programme provides a safe forum for people with intellectual disabilities to explore their social and sexual identities. Participants will learn about issues such as the difference between public and private behaviour and of appropriate and inappropriate touch. Not having this knowledge leaves adults with intellectual disabilities open to potential abuse or exploitation. A common misconception is that people with an intellectual disability do not need education related to their sexuality because they will always remain ‘child-like’ and therefore non-sexual. Education about sexuality is an important aspect at any stage in ones life. People with an intellectual disability have the same range of thoughts, attitudes, feelings, desires and fantasies as people without disabilities. Yet, they often have fewer opportunities to engage in age-appropriate behaviours than others of the same age. It is important that all young people are educated and given the chance to explore, enjoy and express their sexuality in positive, healthy and safe ways. Training is FREE and will include separate information sessions for parents and gaurdians. If you’re interested in attending this programme please fill in the form below. Your submission has been sent successfully. Can the person with disability communicate verbally ? Are you a parent / guardian of a person with disability ?